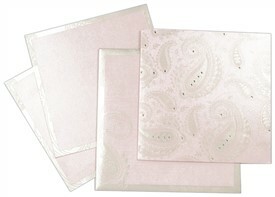 D-5380, Pink Color, Shimmery Finish Paper, Designer Multifaith Invitations, Birthday Invitations. 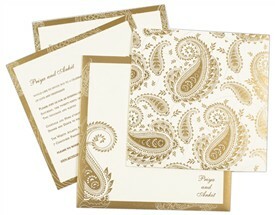 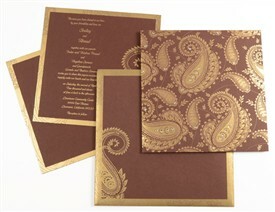 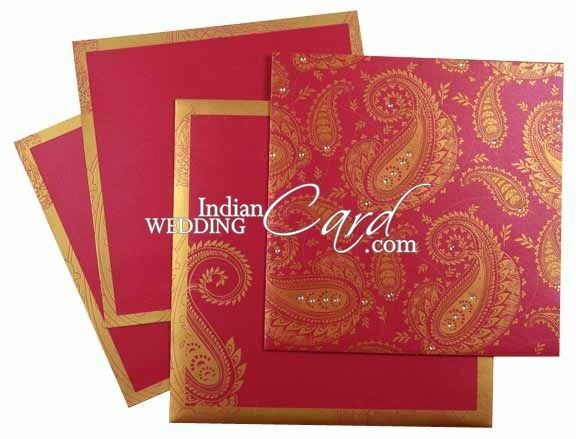 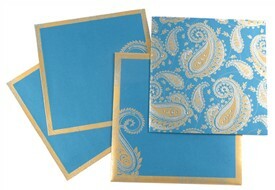 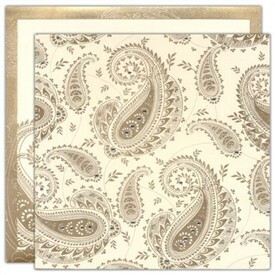 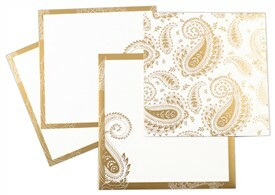 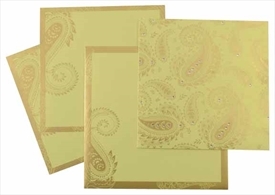 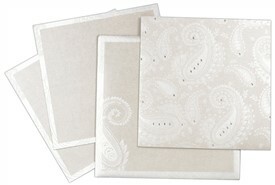 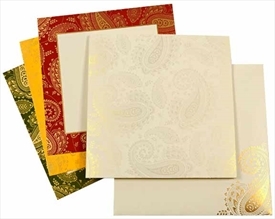 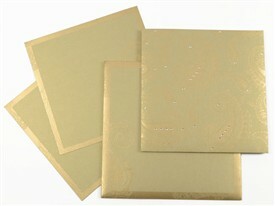 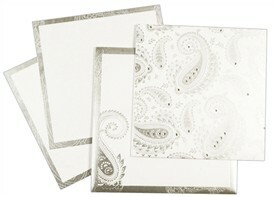 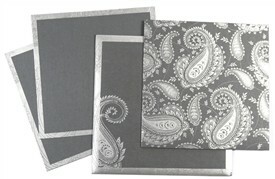 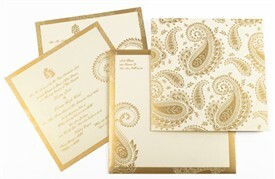 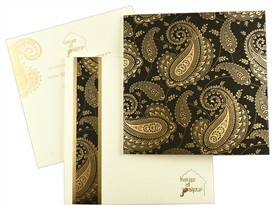 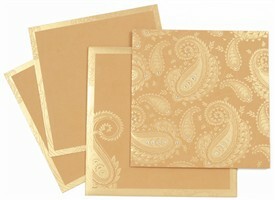 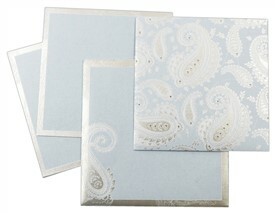 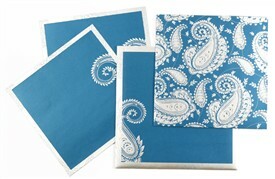 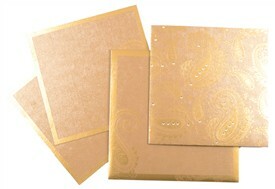 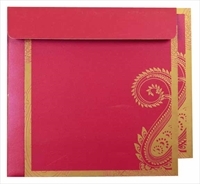 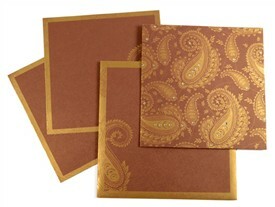 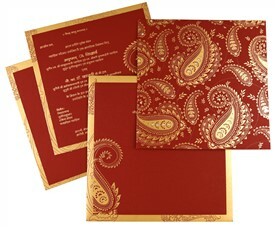 The card has beautiful paisley design printed in GOLD all over on front of card with rhinestones and on inside pocket. 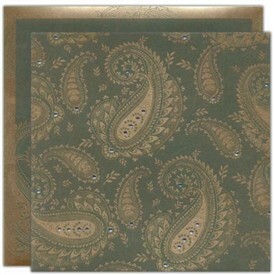 Matching border on inserts, and mailing envelope. 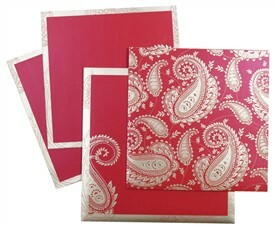 Hot Pink color shimmery board (250gsm) for docket style card, 2 inserts and mailing envelope.